COLORADO CITY — The Bulldogs lost 42-77 against district rival Colorado City Wolves Friday night. Bryson Cline netted 16 points including two 3-point baskets to lead the Bulldogs in scoring. Teammate Gaige Hill added 11 more to the scoreboard. Colorado City’s Markis Monroe had a game high of 21 points with 9 coming from behind the arc. The Wolves were dominant on their home court in the first half of the game leading 47-15 by the end second quarter. Coahoma made a much stronger showing in the second half but couldn’t overcome the Wolves solid offense. The loss leaves Coahoma at 2-2 in district play. Next: Coahoma travels east to Merkel for a district matchup between the Bulldogs and the Badgers. The game is set for 8 p.m. Tuesday. Coahoma — Brice Martin 2, Joe Manning 4, Zack Schneider 3, Gaige Hill 11, Bryson Cline 16, Gage Clark-Burdell 6. Colorado City — Josiah Silva 6, Tracy Smith 10, Jaxson Phariss 3, Markis Monroe 21, Reagan Rich 3, Bubba Williams 5, Omar Boone 10, Jacob Munoz 8, Maverick Hale 11. Free Throws — Coahoma 7-12 , Colorado City 11-19; Three-Point Goals — Coahoma 3 (Cline 2, Hill), Colorado City 8 (Monroe 3, Munoz 2, Boone, Smith, Rich); Total Fouls — Coahoma 16, Colorado City 11. COLORADO CITY — The Coahoma junior varsity boys team beat the Colorado City Wolves on their own court Friday night 28-22. The Bulldogs started off the game slow scoring only 4 points by the end of the first half and headed to the locker room down by 5. 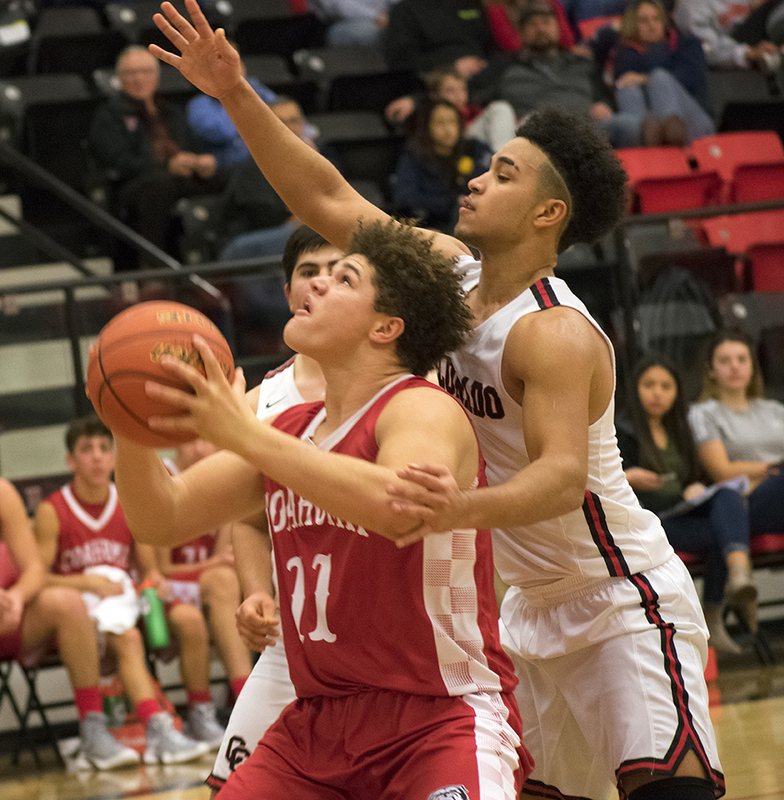 Returning for the third quarter, the Coahoma team came back fired up and scored 24 points in the next two quarters of play to steal the victory away from the Wolves. Isaiah Martin led the Bulldogs with 6 points. Tony Haggins was close behind adding 5 more including a 3-point goal. The JV team will be back in action today to compete in the Forsan tournament. The squad will travel to Merkel Tuesday for a matchup against the Badgers. Game time is 5:15 p.m.
Coahoma — Avery Burgans 3, Isaiah Martin 6, Seth Brooks 2, Collin Daniels 4, N. Dials 3, Tony Haggins 5, D’Kota Harrison 2, Isaac Murillo 3. Colorado City — C. Green 2, B. Williams 6, P. Perkins 3, M. Randle 11. Free Throws — Coahoma 5-17, Colorado City 4-16; Three-Point Goals — Coahoma 1 (Haggins); Total Fouls — Coahoma 19, Colorado City 14 .